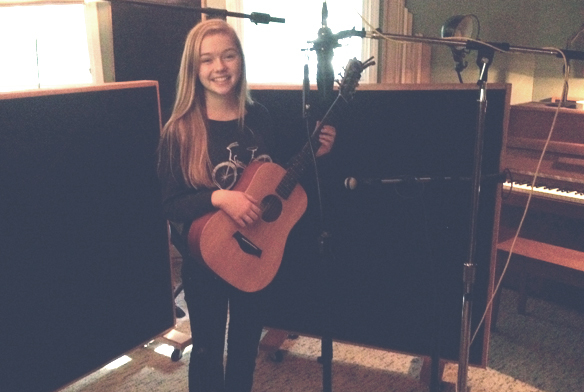 Emma Livingston is the youngest recording artist to work at Thread to date but she is an inspiring and very talented 13-year-old singer songwriter who also happens to be the best beat boxer we have ever heard! We will be working with Emma over the next couple of years to produce her first album, which promises to be as vibrant and dynamic as she is. Although she could be the next pop sensation, her album will have the depth and diversity of a timeless songsmith in an age of young one hit wonders.